Obituary for Charles G. Snelgrove | Rhoney Funeral Home, Inc.
Charles G. Snelgrove, of the Town of Cambria, NY, passed away on Tuesday, November 13th, at his home. He was born in Lockport, NY , on September 29, 1940, the a son of the late John and Vesta [Sherwood] Snelgrove. Mr. Snelgrove graduated from Starpoint and became a millwright with National Grinding Wheel for 25 years and later at Dunlop (Goodyear) Tire for 20 years before retiring in 2008. 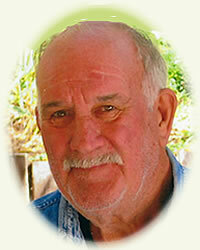 He was an avid sportsman and enjoyed spending time at his cottage in the 1,000 Islands and watching NASCAR. Mr. Snelgrove is survived by his wife of 55 years Judith A. [Mayer] Snelgrove, two sons Glenn (Kelly) and Todd (Malissa Beutel) Snelgrove, five grandchildren Jennifer (Philip) Olson, Jonathan, Joshua, Jaret and Jacob Snelgrove, a sister Nancy (George) O'Neil. His family will be present on Sunday from 3-7 PM at the RHONEY FUNERAL HOME, 5893 Hoover Road, SANBORN, NY, where Funeral Services will be held on Monday at 10:00 AM, with the Rev. Matthew Kofahl officiating.